Great holiday	We had a great time. Bungalow had ample room and very comfy and modern, garden was great advantage something you don't get in the centre of Scarborough. Its close to the front and the electric cart is great for tired legs on the way back. Parking made a pleasant change! Four generations stayed from 18 months to 78years and it suited everyone. Thankyou. Plenty of room inside and out for all the family and your pet too. 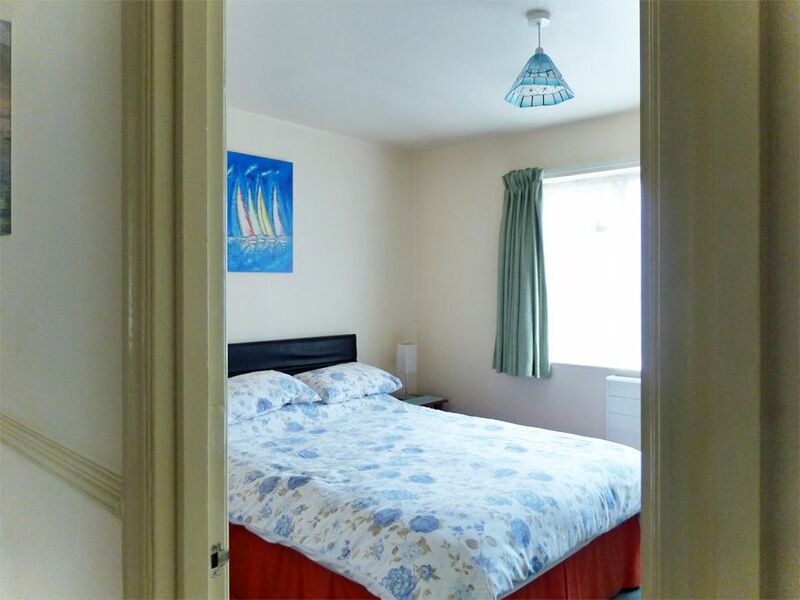 It's rare to find ground-floor self-catering of this size within walking distance of Scarborough's Esplanade and South Bay ...and at a realistic price too. Although annexed to the rear of the owner’s property, the bungalow is completely self-contained with its own access, outdoor sitting space. 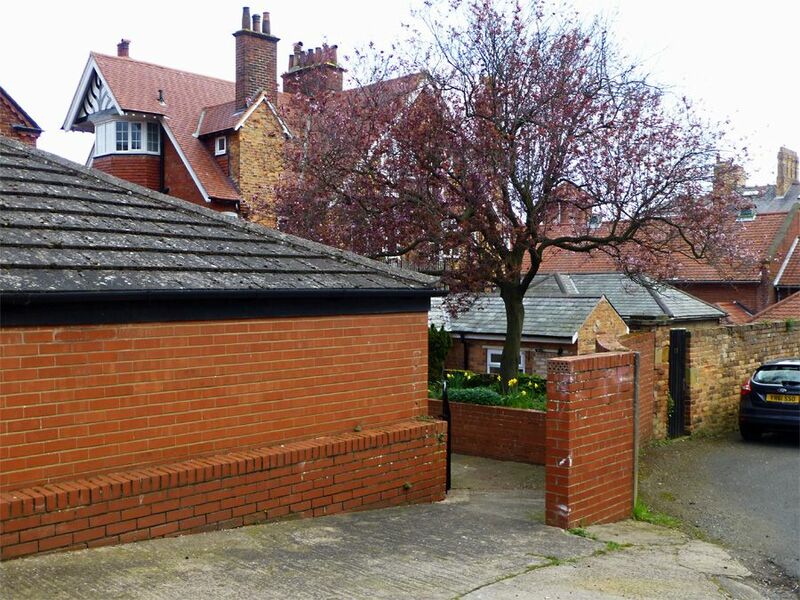 Visitors appreciate the private parking space to the rear of the property. 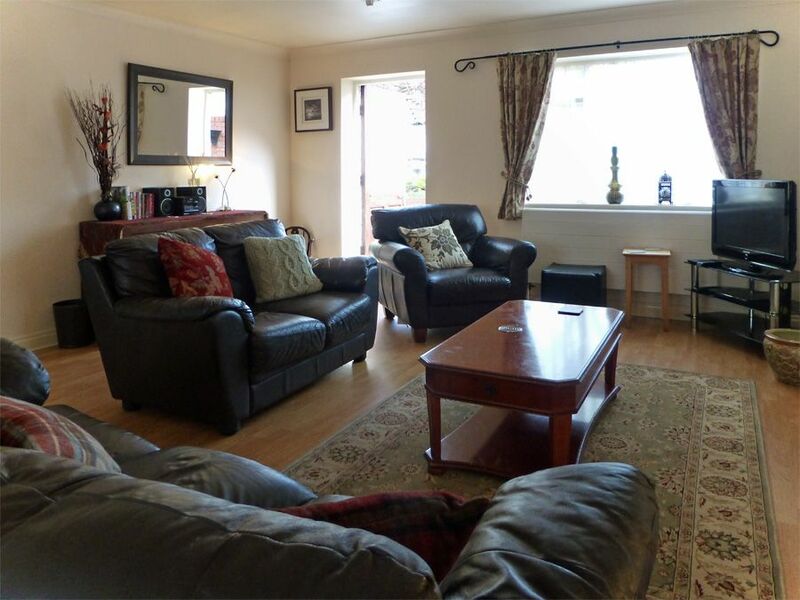 This spacious bungalow has a lovely big lounge where all guests can relax and dine. 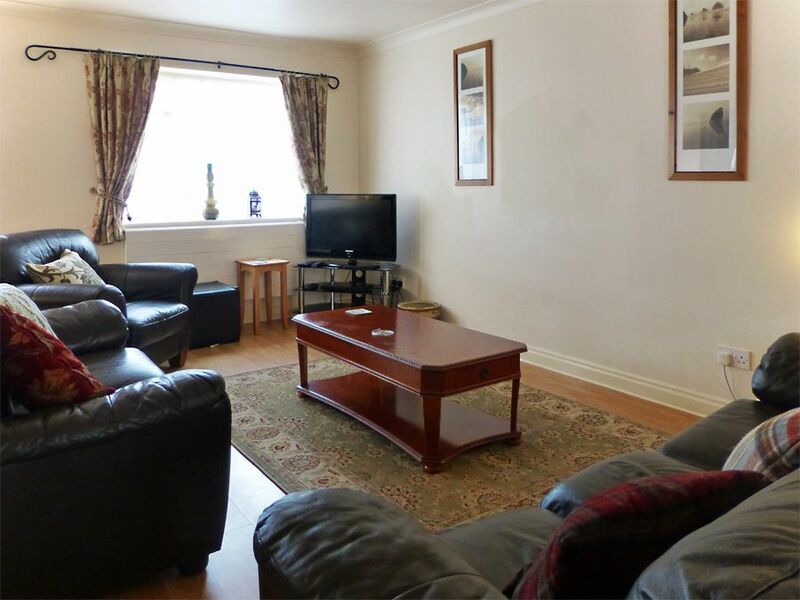 Furnished with 2 leather sofas, easy chair and TV/DVD. with the dining table and 6 dining chairs situated to the rear. 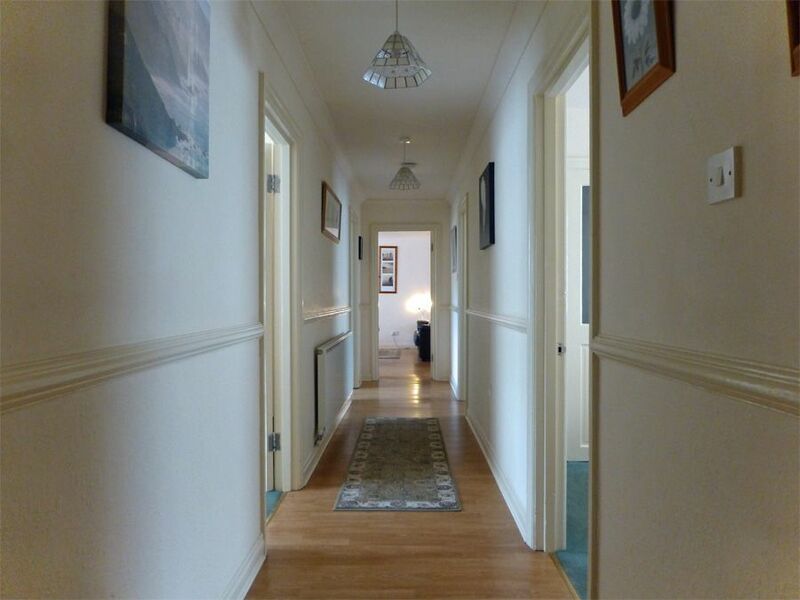 The kitchen, bathroom and bedrooms lead off a long central hallway. 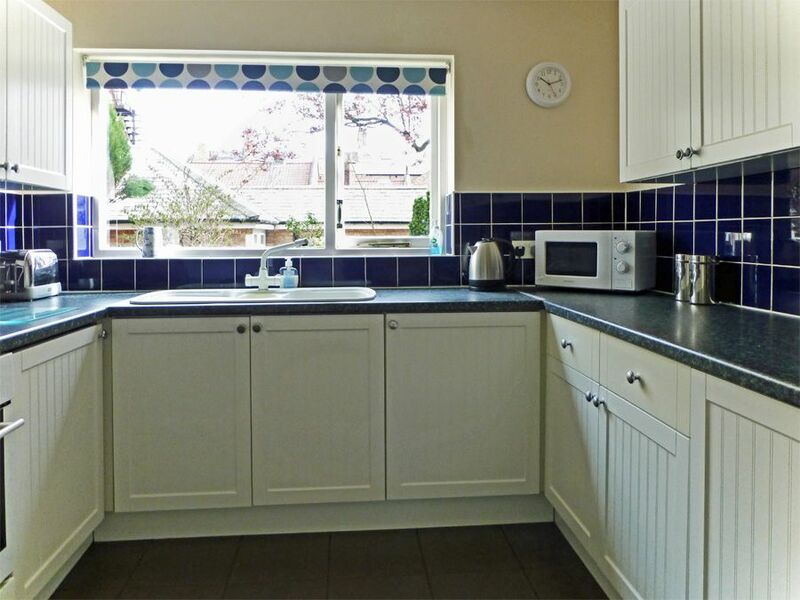 The kitchen is a good size with a pleasant outlook over the patio area. 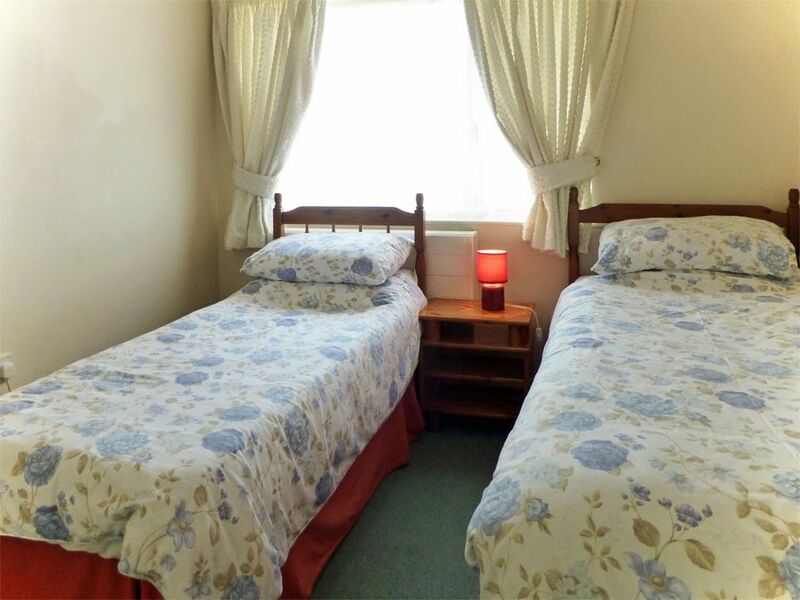 It is fully-equipped with all the usual appliances, including a fridge-freezer and washer/dryer. 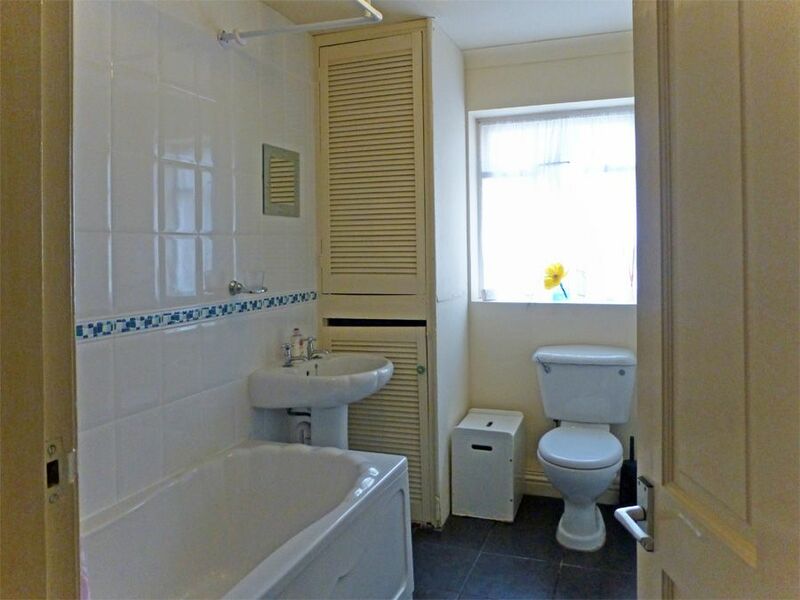 The large modern bathroom has a bath, electric shower over the bath, WC and washbasin. 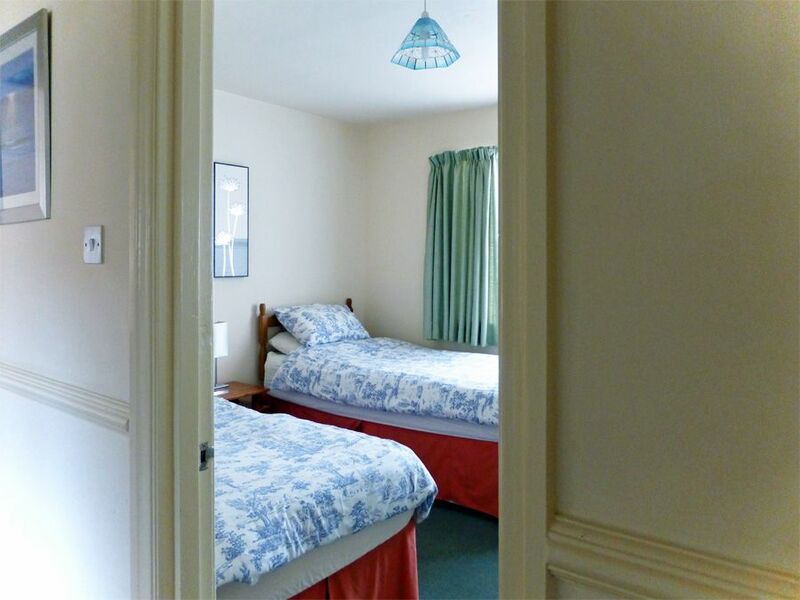 The first bedroom is a double; the second has 2 standard singles; the third is also a twin room with 1 standard single and 1 slightly narrower single bed. 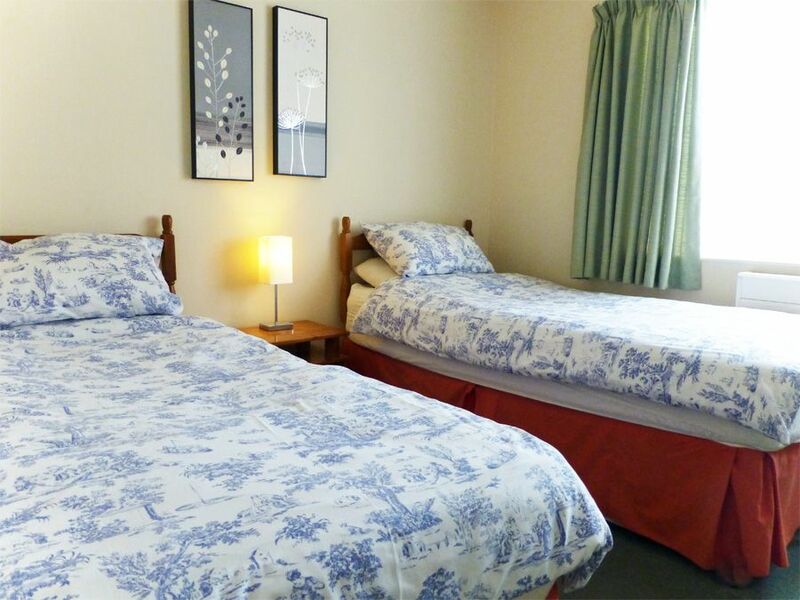 All bedrooms have built-in wardrobes, reading lamps and bedside cabinets. The décor furnishings, fixtures and fittings are tasteful and of a good modern standard. 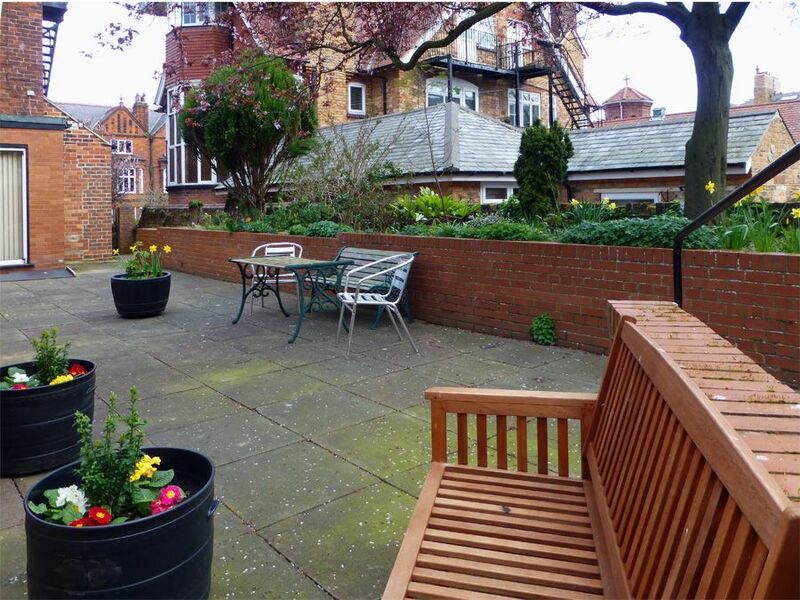 There is a large patio area to the front of the property with plenty of space to sit out - garden furniture and barbecue are provided. This area is sheltered and is quite a suntrap in summer. 1 well-behaved dog up to medium size is welcome at no extra charge (perhaps 2 small dogs by arrangement). For 1 vehicle off-street to the rear of the property. Further parking is on-street to the front on Avenue Victoria.....where it is non-designated but free and unrestricted. 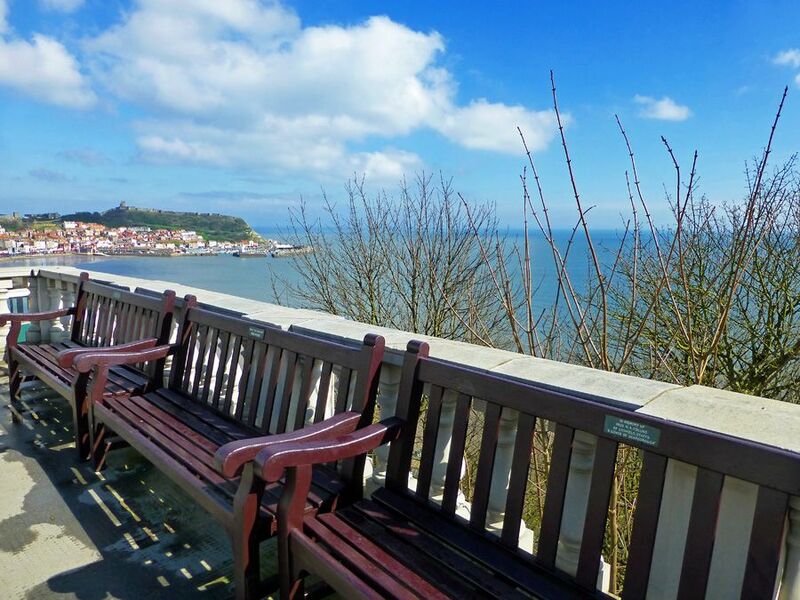 Across the bridge from the Town centre in an area regarded as the quieter side of Scarborough. 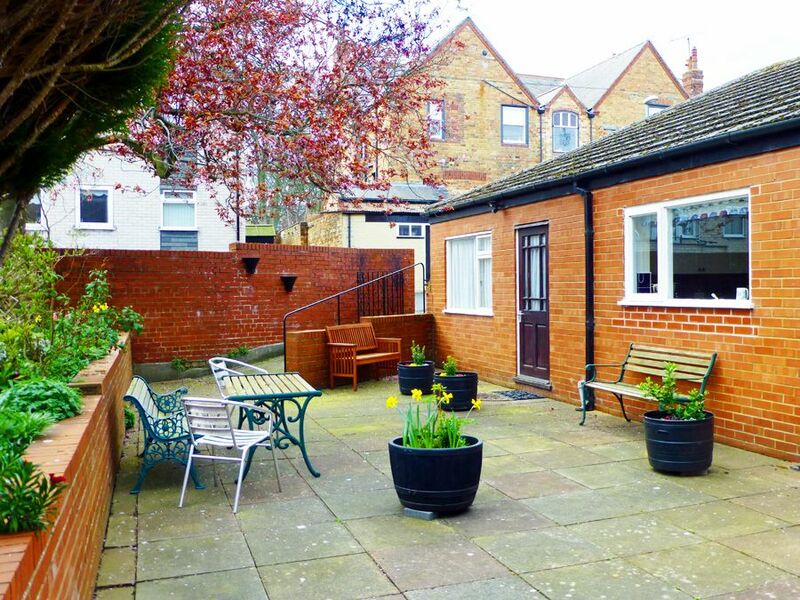 The bungalow is situated on the South Side of Scarborough on a quiet road that runs between the Esplanade and Ramshill. You are 5 minutes walk to the South Cliff Gardens and the Cliff Lift which takes you to the South Bay Beach, Spa Complex & Foreshore. The Town Centre can be reached on foot (in about 20 mins) via the Spa footbridge or by car (in 5 – 10 mins) across Valley Bridge. 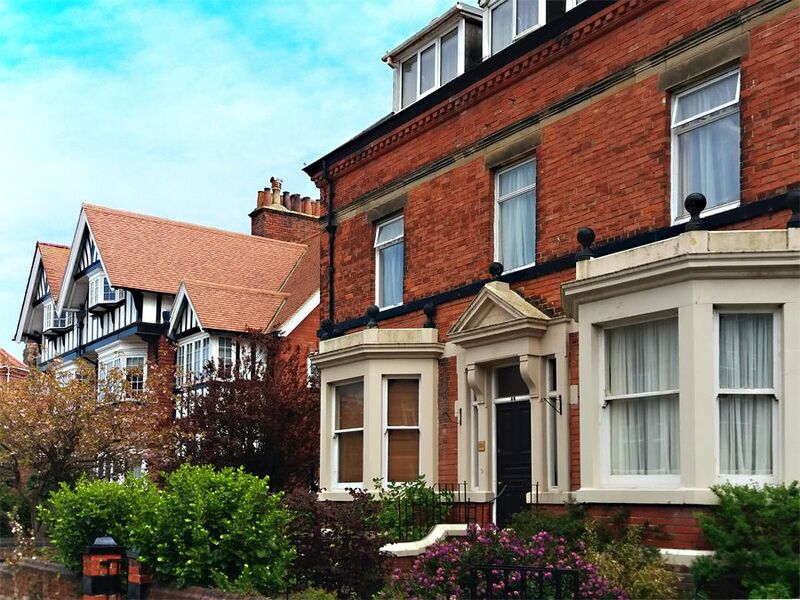 There's a great local shopping parade... pub, cafes, Italian restaurant, Fish & Chips, delicatessen, Post Office, grocers, newsagent, pharmacy & MiniMart... within easy walking distance at Ramshill. 24-hour Tesco & Railway/Bus Stations are about 3/4 mile away. 1 dog up to medium size is welcome.. 2 SMALL dogs MAY be allowed but you would need to call our office so we can ask the property owner's permission before the booking is done. Low Occupancy Discount Off Peak. You will not find a better owner than Mandy. She goes out of her way to provide you with everything you need. Nothing is too much trouble. This is the second time we've stayed here and have also stayed at one of the apartments at the front of Avenue Victoria. For value for money it cannot be beaten. Plenty of room. Piping hot water. Homely. Stylish decor and very clean. We look forward to future visits and can highly reccommend The Bungalow for a family holiday with your dog. 10/10. Thanks Mandy, you're a star. 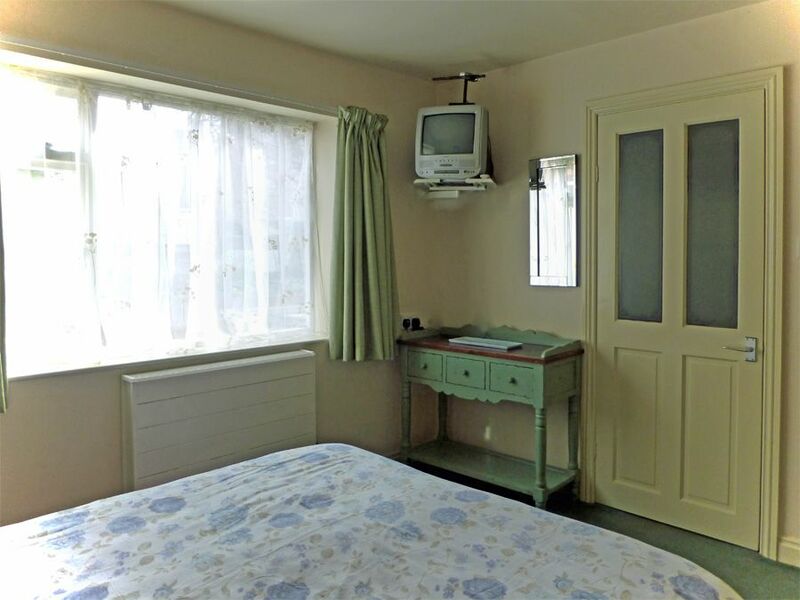 The bungalow is so homely, every thing you want in a holiday home. Beds comfy kitchen has everything you need living and dinning room big and cosy. We will defiantly coming back . I will be recommending it to friends and family. Perfect for a multi-generational holiday. A fantastic place for taking my dad (who needs a mobility scooter) and the kids. 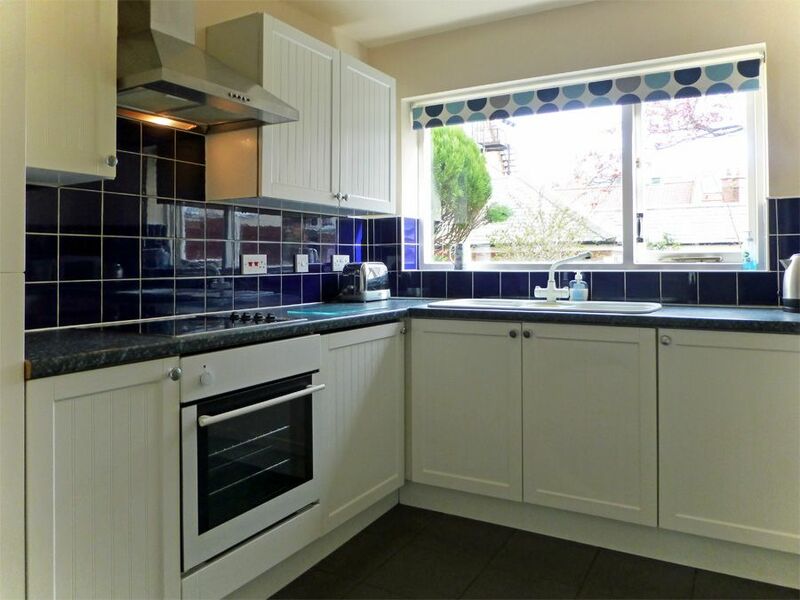 Huge rooms, great layout and the kitchen has everything you need. Brilliant location. 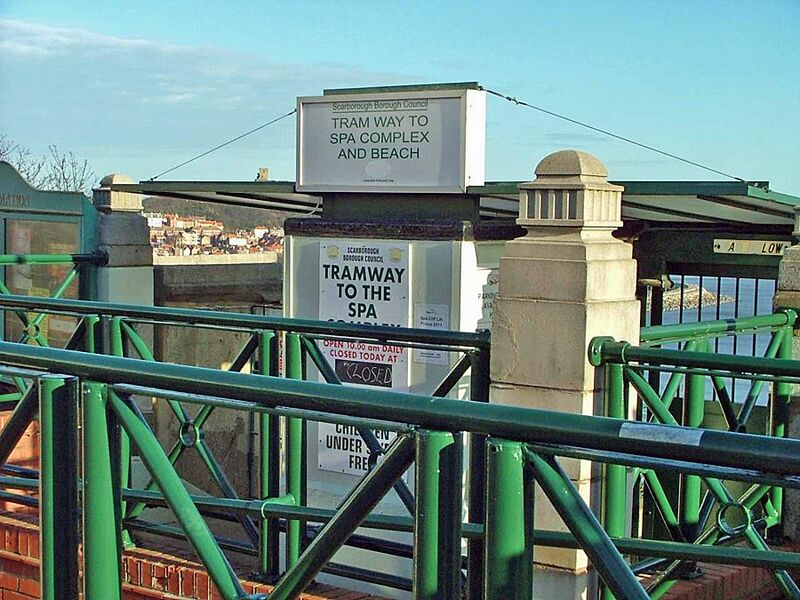 Ideally placed for the local shops, the cliff lift and the seafront. The parking space is really useful too. All in all, another perfect holiday at The Bungalow. Superb holiday bungalow that caters for pet owners. Mandy the owner was so friendly and accommodating and when we arrived three hours early she had already cleaned and prepared the bungalow for our stay. 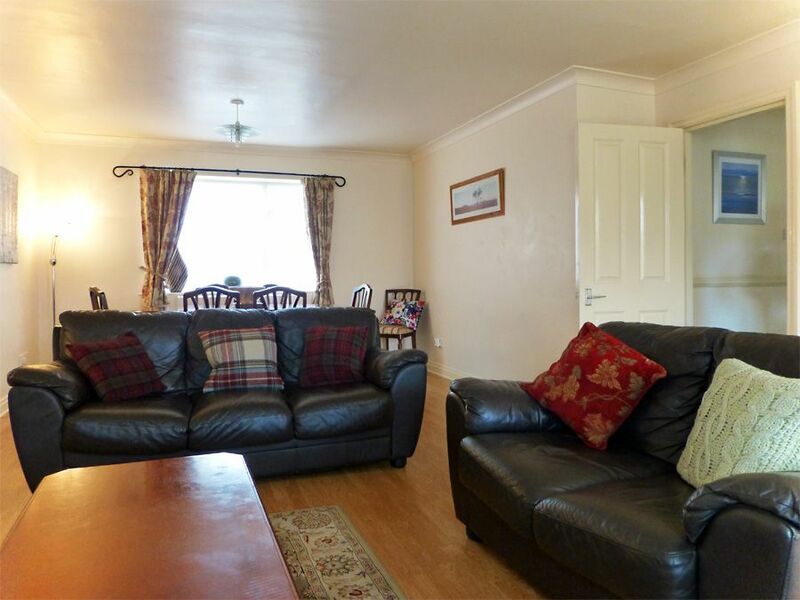 The Bungalow is an excellent holiday let. Quiet and secluded. 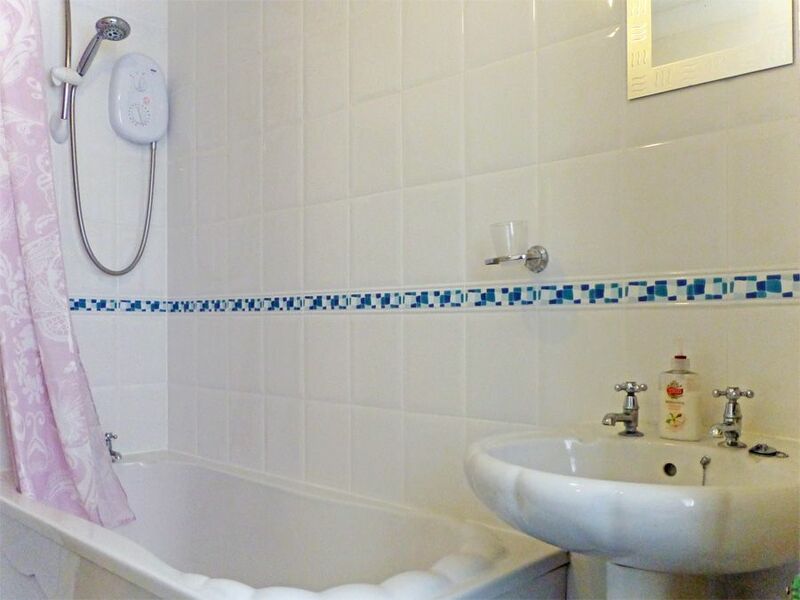 but close to all the essential amenities.Tastefully decorated throughout with loads of piping hot water it was home from home. I can fully recommend The Bungalow and we will definitely be re-booking for next year. We booked our weekend away with friends a few weeks in advance but last minute our friends suffered a bereavement and our arrival was a bit up in the air. The owner, Mandy was very understanding and was on hand to meet us as soon as we arrived. She was very friendly and accommodating. Would definitely recommend. 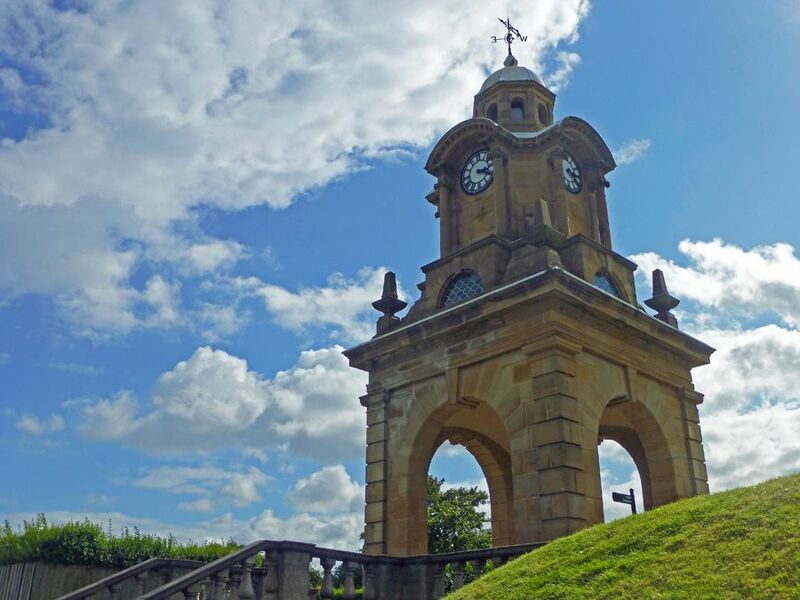 The location is brilliant, right near to the clock tower cafe and lift down to the front. Thank you. 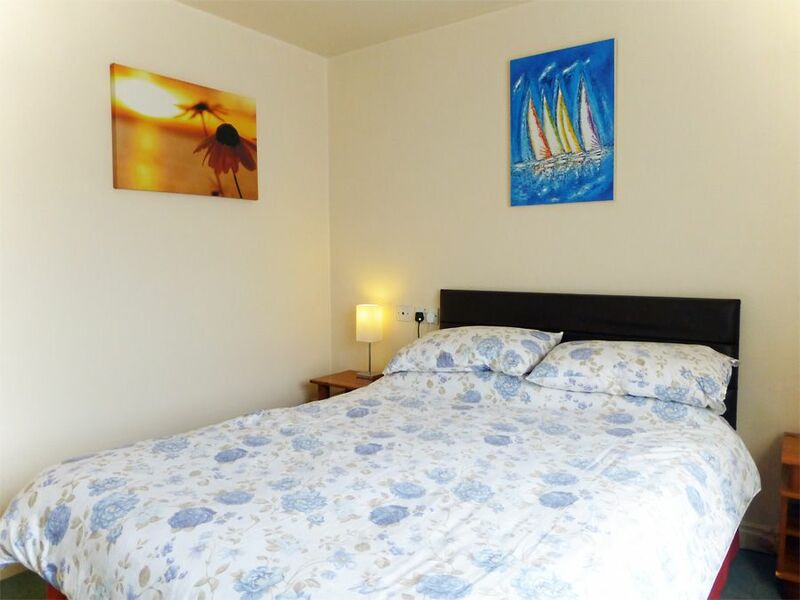 We enjoyed our holiday and the bungalow was very clean and the beds were really comfortable, would highly recommend visitors to book this accommodation. Wonderful Week In Scarborough...This is the second time we have stayed at the Bungalow. It is spacious, comfortable and well equipped. The parking space and the garden are an added bonus.. It is lovely to be able to sit outside for breakfast or in the evening. 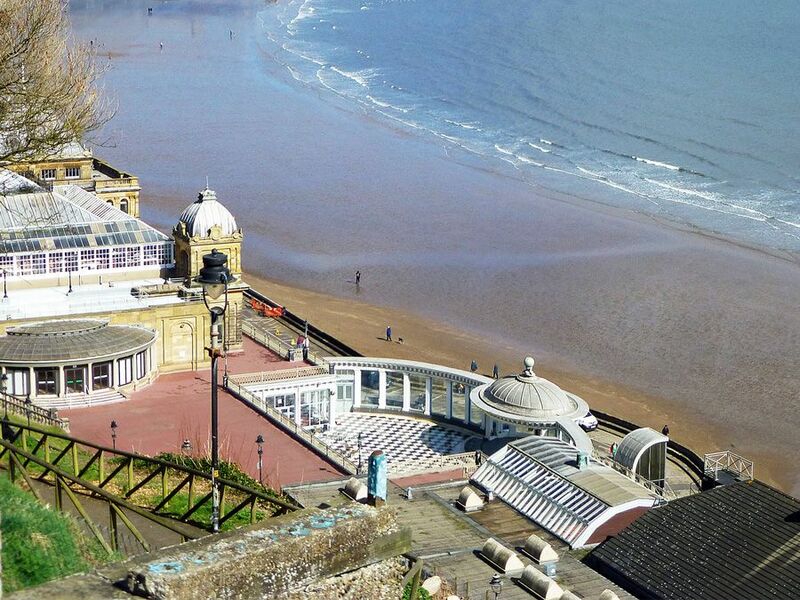 It is only about a 10 min stroll to the cliff lift which takes you down to the Spa. There are plenty of local shops and takeaways if you don’t want to cook.. This would be my first choice for my next visit to Scarborough. The Bungalow was very comfortable and spacious. It was very clean. It made a refreshing change not to have to wash cutlery and crockery before we use it. It was nice to have an accessible yard area where we could sit outside in the sun. 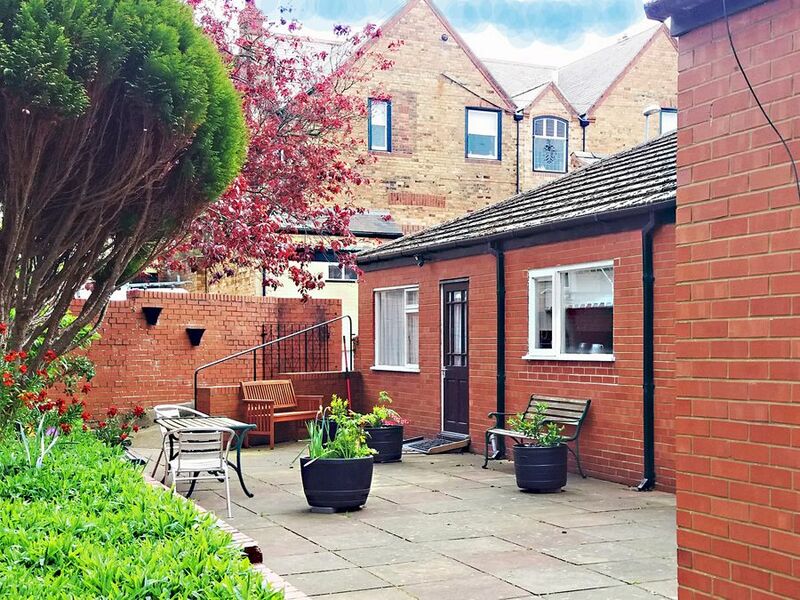 We found that the bungalow was particularly suitable for people with mobility issues, with the lack of stairs and the ramp from the back door onto the yard area, meaning easy access for mobility scooters. Overall excellent. Another excellent holiday spent at The Bungalow. 4th time staying at the Bungalow. Everything was spot on as usual. Nothing is too much trouble for Mandy. She even posted my cap back after I left it in a local pub! Will be back next year. 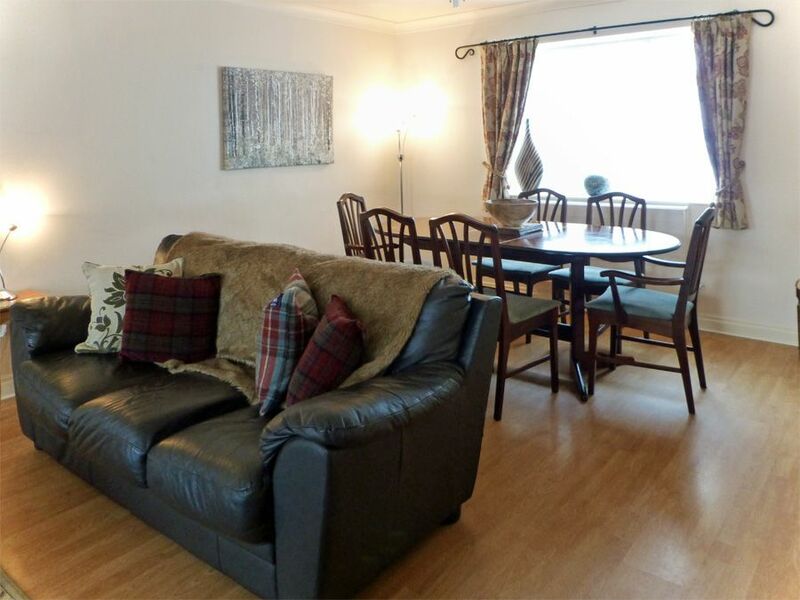 ideal location, cosy & the dog welcome too!...The Bungalow was a perfect place for us to stay. 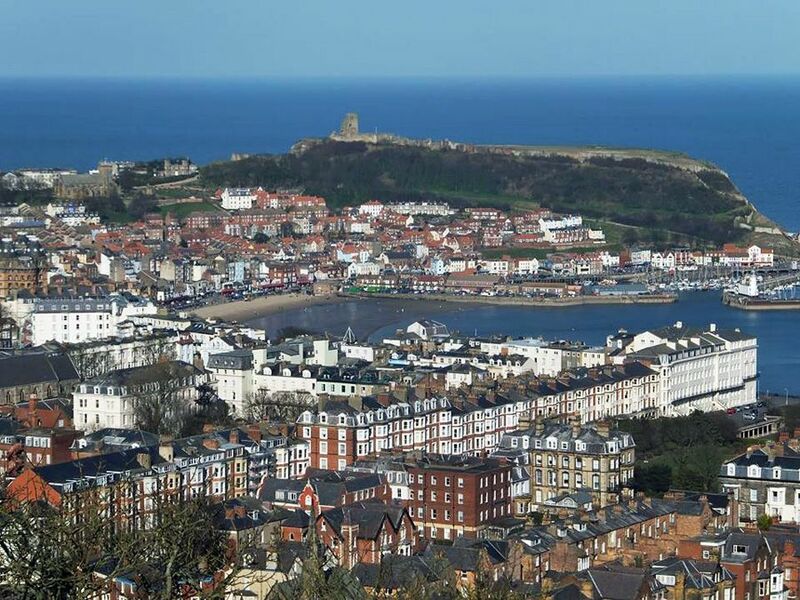 3 couples and a dog with plenty of room and everything you would need for a self catering stay in Scarborough. 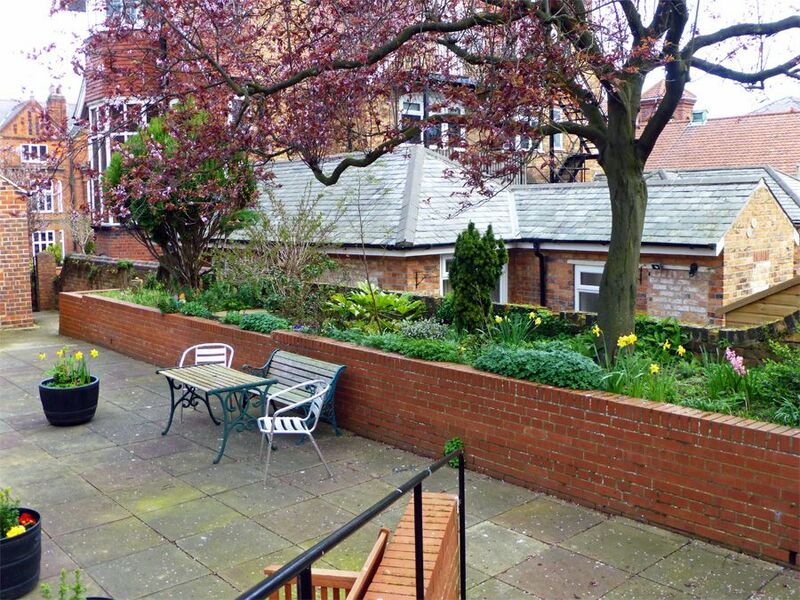 Clean and comfortable with a spacious private paved garden safe for the dog. 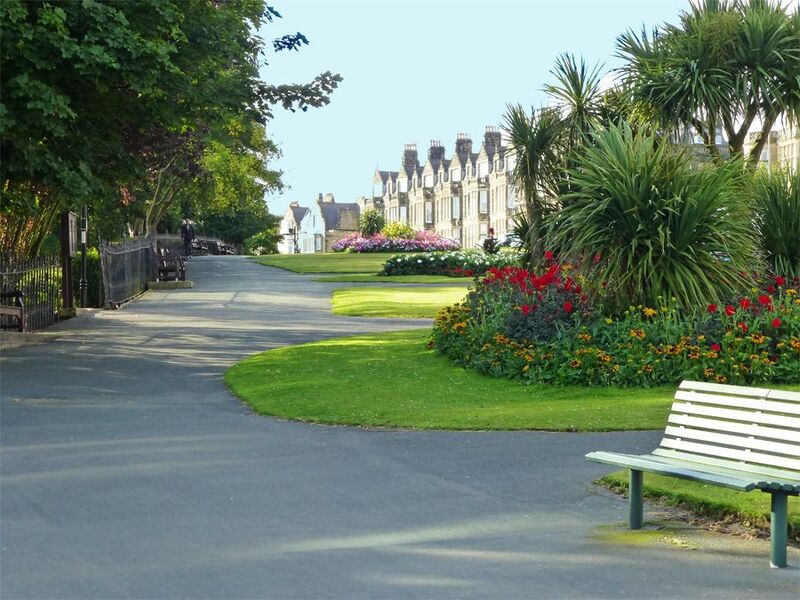 Great location; South Bay and Spa Gardens 5 mins walk as are lovely batch of food shops and restaurants. All this and safe off road parking right by the Bungalow . Quite a hidden gem and one we shall want to use again for sure. Owner very pleasant and only a matter of mins away if needed. Thanks ! !